Seniors need a different approach to managing chronic pain. Because the extensive population of baby boomers continue to age, and as our life expectancy continues to be extended, our thoughts with regard to managing chronic pain have changed accordingly. Today, more than fifty percent of individuals over age 65 complain of consistent pain – and for ¾ of those fighting chronic pain, the pain exhibits in several locations, unfavorably affecting their physical function and quality of life. To control this pain, too often, physicians depend on chronic pain treatments that include opiates, that may result in contraindications with other medications and substances including alcohol, in addition to serious addiction concerns; and to top it all off, opiates are not proven to be reliable long-term for chronic pain – on the contrary, could possibly worsen such conditions. 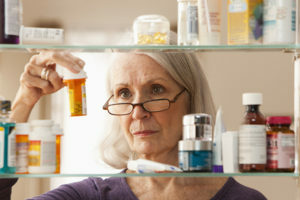 Physical: Communication between all healthcare providers is key, to make certain all medications prescribed are safe when taken with each other, and that treatment is tailored to address the particular needs of seniors, considering slowed metabolism, increased likelihood to use or abuse alcohol, physical inactivity, and more. Many older adults also find that it’s beneficial to take part in activities such as yoga, meditation and mindfulness that transfer the main focus from the physical pain. Psychological: The prevalence of depression, dementia and anxiety is increased in older adults. Exploring non-medicated care options such as exercise, cognitive behavioral therapy, problem-solving, and interpersonal therapy are great ideas. Social: Isolation is a factor for some older adults due to the loss of a spouse or other family member, inability to drive, illness, frailty, retirement, and more. Handling the requirement for enhanced socialization is an essential element of an older adult’s overall wellbeing and health. Call Home Sweet Home In-Home Care now at (866) 229-2505 to request resources related to your senior loved one’s individual challenges, for more information about our St. Joseph home care solutions, or to schedule a no-cost in-home consultation.